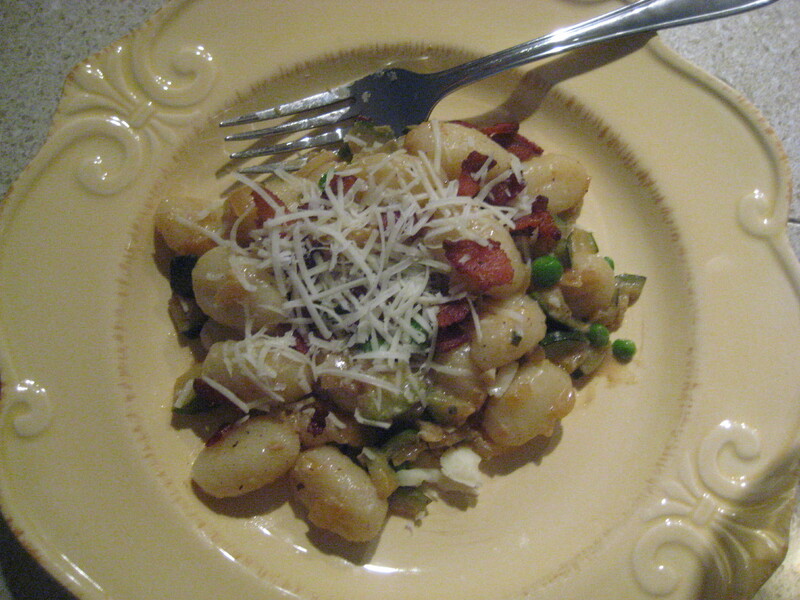 Gnocchi is delicious in any kind of sauce, but it is traditionally served in either a butter or cream sauce. Since we’re trying to keep things healthy around here, I tried to find a way to make a cream sauce without cream! I think I succeeded. Bring a pot of water to a boil, add the tablespoon of salt, and cook gnocchi according to package directions. Drain and set aside. In a skillet over medium heat, add the chopped bacon, cook until crispy and fat is rendered. Remove bacon pieces and drain on a paper towel. Add the chopped onion to the skillet with the bacon fat. Cook until translucent. Add the garlic and cook for 1 minute. 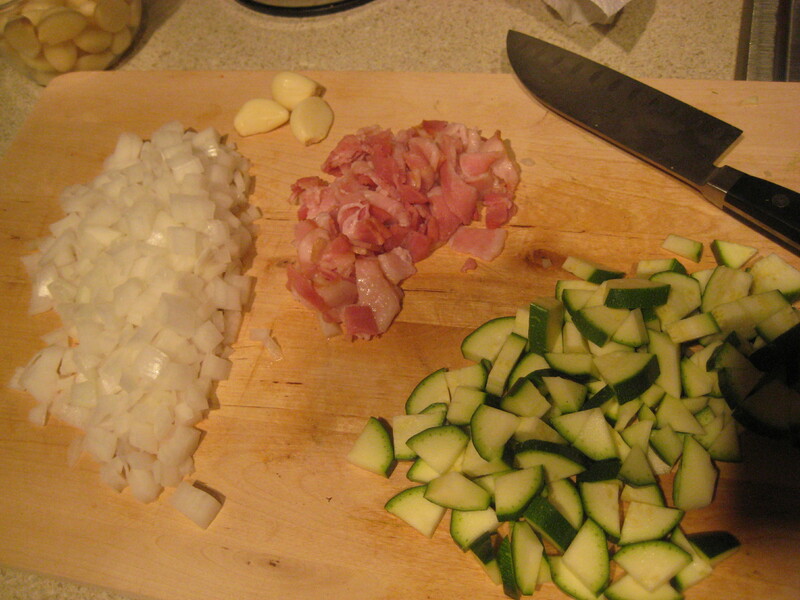 Add the chopped zucchini and cook until tender. Season with salt and pepper. Add the white wine, and use your spatula to scrape up the brown bits on the bottom of the pan. Add the cream cheese, and whisk into the sauce until creamy. Add the frozen peas. 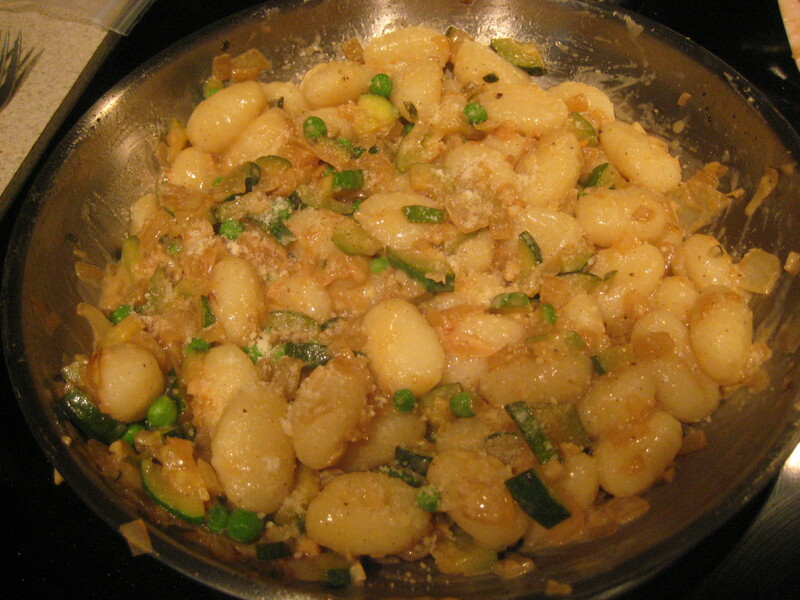 Add the cooked gnocchi and mix everything together. Sprinkle with bacon and parmesan cheese and serve.